Very few companies understand the true difference in fuel quality between one supplier and another or the resulting impact on fuel savings and engine lifetime. Whilst all fuel suppliers are legally required to apply a minimum amount of additives, some suppliers choose to exceed the minimum requirement with a view to offering increased engine protection and performance. Additives include detergents and do in fact matter as they help prevent fuel injector clogs and carbon deposits from forming in the combustion chambers, thereby impeding valve operation and engine performance. For more than 130 years ExxonMobil, the world’s largest Public Energy company, has been committed to developing quality fuel products. 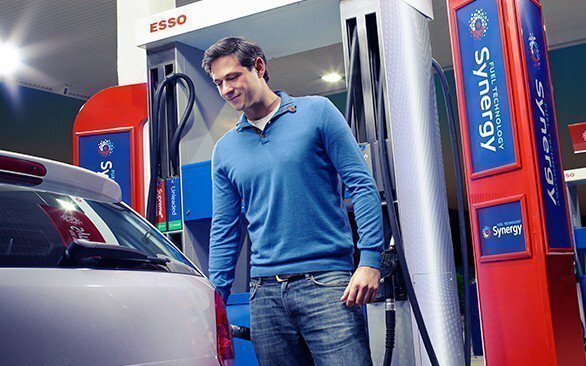 Today ExxonMobil continues to lead the way, using its engineering expertise and focusing on technology and innovation to develop its Esso Synergy line of fuels. Born in the same ExxonMobil labs as the Formula 1 racing fuels, Esso Synergy fuel technology is engineered with 7 key ingredients to help you get better mileage. Anti-Adhesion Compound helps prevent fuel detergents from forming a sticky film on the intake valves, which in turn helps prevent cold start problems at cold temperatures. Changes in temperature can cause some ingredients to get jammed. The Solvent Fluid helps the additive ingredients stay mixed and to flow, and not freeze at very cold temperatures.